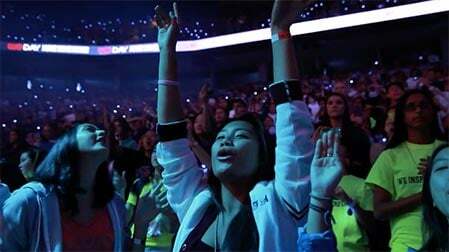 WE is a 1,000-person strong organization with offices in Canada, the United States and the U.K., as well as staff overseeing our operations in Kenya, Ecuador and India. Our People Operations and Culture team today possesses more than 50 years of collective experience in human resource management, with accreditations including Certified Human Resource Professional, Certified Human Resource Leader and Global Professional in Human Resources. They ensure that WE is not only in full compliance with labor laws and industry standards for compensation and benefits, but also strives every day to exceed those standards to provide a rewarding working environment for our incredible team of change-makers. It’s no surprise, therefore, that WE (formerly Free The Children) has received 16 major national and international awards for impact. We have thrice been recognized as one of Canada’s Top Employers for Young People, and twice as one of Canada’s 10 Most Admired Corporate Cultures by Waterstone Human Capital. In receiving these awards, along with many others, the organization has undergone a variety of culture, HR, financial and management evaluations in a rigorous, independent and non-biased manner. WE was recently recognized as the first organization in history to be awarded the “Good Housekeeping Humanitarian Seal,” after an extensive independent evaluation process. We were honored in January 2019 to be named among Five of Canada’s Top Employers in AllOntario.ca. What do current employees say about working at WE? 78 percent of WE team members say they love their job. We don’t stop there. After we receive survey results, the leadership teams of each division review their own division’s anonymous aggregated results to assess progress on their people plans, as well as where and how they need to adjust to better support the employee experience. What are the perks that come with working at WE? Coming to work should be a pleasure—and we’re proud to offer employees at our Toronto headquarters an extraordinary space to collaborate with colleagues, host meetings with stakeholders, learn from guest speakers and outside experts, and undergo personal and professional growth. The WE Global Learning Center has been named Toronto’s nicest new office space by BlogTO, and has also been featured in the Globe and Mail and HELLO! Canada. The facility is fully accessible and mindfully designed with 32 microclimates for optimal comfort and energy efficiency; and environmentally conscious fittings including filtered water dispensers on every floor and carpeting manufactured from reclaimed fishing nets, and has been recognized for its accessibility by the Rick Hansen Foundation. To help ensure hard-working staff are cared for, we offer a unique suite of benefits focused on employee wellness. And, understanding that great employees are looking for a career path, not just a job, we have developed professional development programs and processes to ensure each team member receives the training, support and encouragement they need. What can I expect from the leadership team at WE? WE’s dedication to learning and development has informed our management structure and our organizational leadership. Our senior leaders—the “Heads” section—all have at least 10 years’ experience in their fields. Many come to WE from after forging successful careers in non-profit, media, business development, product development, marketing and technology, and they reflect WE’s commitment to diversity in hiring; for instance, 77 percent of our senior managers are women. All members of our leadership teams serve as mentors, providing training and guidance to our directors and junior managers. People managers receive mandatory training on how to give effective feedback, assess performance and have tough but important conversations with staff, ensuring they have the tools and direction they need to be successful and to grow, both within their existing roles and along their career paths within the broader organization. Our team of learning and development staff provide sessions on a range of topics, from our three-day onboarding process, to people and time management, to emotional intelligence and everything in between. What is the level of compensation at WE? WE prioritizes setting all staff salaries, from entry level to executive leadership, at levels competitive within its sector of non-profit and social enterprise. We benchmark our salaries using industry-leading salary surveys like Toronto Board of Trade. In addition, we have partnered with compensation consultants like KCI to continuously assess our salary levels. For example, co-ordinators received a 28 percent pay increase over three years, starting in 2015. Some people want to know what a starting salary is. In the last two years, overall starting salaries have been raised by more than 18 percent. For front-line staff—typically recent college or university graduates with no formal work experience—WE commits to providing one to two years of practical work experience that will enable them to obtain future full-time employment in the profession reflected in their earned degree or diploma. These front-line staff can expect a total rewards package worth $40,000 annually—a base salary of $35,000, plus $5,000 worth of benefits. Conscious of the needs of our growing movement, we strive to recruit the best talent and, to that end, work to ensure that salaries for managers, directors and other senior staff are competitive within our industry. 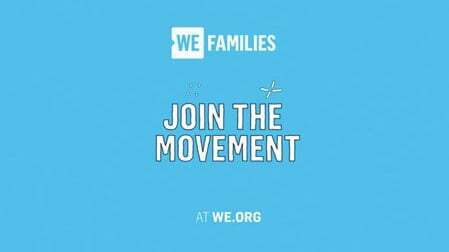 Our co-founders, Craig and Marc Kielburger, are volunteers for WE Charity, and each earn a salary from ME to WE social enterprise. Their total compensation from ME to WE – including salaries and speaking fees – were reviewed by KCI, an independent third party, and aligned with standards for Canadian charities and social enterprises. 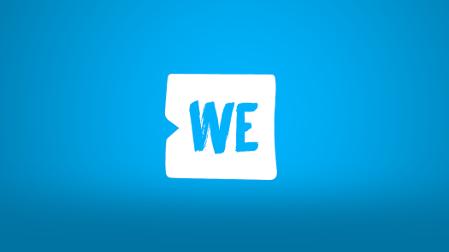 ME to WE social enterprise exists to support the work of WE Charity, and therefore although the majority of their co-founders’ effort is devoted to growing the impact of WE Charity, they do not receive any remuneration from WE Charity. How does a non-profit afford perks for its staff? To answer this question, we’d like to start by explaining why we prioritize well-being benefits for our employees. WE is a purpose-driven organization and, as such, we tend to attract team members who are driven to create impacts and to furthering our mission. Of course, that’s wonderful! But that kind of dedication also comes with the danger of burnout. “Because the mission of WE is important, it attracts and recruits a different kind of person; one who works harder, longer and without the same assumption of financial remuneration as someone who works for a corporation. People who work for non-profits take an enormous amount of pride in where they work and what they do; they are energized by making a difference and they want to see the results,” notes Dr. David Baum, an organizational psychologist and consultant who has studied the culture at WE Charity. That’s why it is so important for us to provide benefits and perks that allow for preventative self-care, as well as a culture of healthy living and enjoyment that makes for well-rounded individuals who bring their best selves to work every day. We are grateful for the targeted contributions of key donors, which have funded the well-being spaces and programs in our WE Global Learning Center headquarters. A special “thank you” goes to Hartley Richardson, the Richardson Foundation and David Aisenstat, who are the lead donors for the WE Global Learning Center; as well they have targeted a portion of their philanthropic support to the wellness programs of our staff. Additional thanks to our many partners who provide in-kind support, including Goodlife Fitness, for donating equipment for the in-office gym and hundreds of gym memberships for WE staff; Freshii, for donating the healthy meals to fuel our staff; Fengate’s support of the WE Café with a part-time barista to provide free Fair Trade ME to WE coffee to our team and guests of the WE Global Learning Center; and many other generous groups. How does WE ensure it remains in compliance with employment standards? Across the board, WE is committed to a culture of safety. As such, our People Operations and Culture team ensures that WE is not only in compliance with labor laws and industry standards for compensation and benefits, but also strives every day to exceed those standards and to provide a rewarding work environment for our incredible team of change-makers. WE has a zero tolerance policy for all forms of harassment, misconduct or discrimination in the workplace. We have a formal employee handbook, protocol and systems that clearly outline the expectations for all employees on: code of conduct, workplace harassment and discrimination, dealing with employee misconduct and the investigation process. It is clear to all employees the standard of conduct WE expects. Our policies provide for employees’ ability to raise concerns about health and safety, or any issue, without fear of reprisal, by reporting to their manager, to another manager, to the Chief People Officer or anonymously through our secure online WE Connect internal communications platform. WE routinely seeks the guidance and advice of outside specialists from leading human resources consultants as well as legal support from the Appiah Law Employment and Labour Counsel. In 2018 WE underwent an Employment Legislation audit completed by Singh Lamarche LLP. Singh Lamarche stated that our policies were not only compliant with the employment legislation, but that they are “gold standard” in regards to its demonstration of our commitment to employee protection and accommodation. WE is regularly audited by the CRA, which ensures we are compliant with laws for all payroll practices. Does WE strive for diversity in employment? Absolutely. WE believes that one of our core assets is our diverse workforce. Diversity is a business priority fundamental to our success. For example, we are incredibly proud to say that 77 percent of our leadership team are women. Our policies are built to foster a welcoming and inclusive working environment, including flexible holidays to accommodate all faiths, the ability to work from home when needed to support personal obligations and accommodations in our working environment for team members with disabilities or accessibility requirements. Our WE Global Learning Center headquarters is a fully accessible facility, and it includes a prayer room in recognition of the many faiths that are practiced among our staff. The Center has been recognized with Rick Hansen Foundation Accessibility CertificationTM. We recognize that striving for diversity requires continuous effort, and we are always working to be better. One of the measures we take to that end is investing in leadership training on diversity. What is the typical staff tenure at WE? WE is a first-time employer for hundreds of young people. Given that young workers (under 25) have double the national unemployment rate, we are proud to create a culture that embraces first-time employees with opportunities to develop their workplace skills, build their resumes and grow into their long-term employment ambitions with WE or another organization. WE has modelled its programs for young people on other well-established and widely praised models like Teach for America, City Year, and Peace Corps. The average tenure of “new grads” at WE is 25 months working with the organization, and the average tenue or new hires is 2.4 years. Studies show that, in comparison with the staff tenure of first-time employees in the non-profit, education and government sectors, WE Charity and ME to WE staff remain with our organization longer than the norm for these sectors. Many former staff—particularly those from the “new grads” track—continue to advance their careers in notable ways upon leaving their roles with WE Charity or ME to WE, or return to further their education. We seek to retain the best of our younger staff and provide them with learning and development opportunities and career opportunities. Among those on the “career track,” tenure at WE of three, five or 10 years is very common. More than 100 staff have been with the organization for eight or more years, and a significant number of our senior staff have been with the organization for 10+ years. Does WE do unpaid internships? In compliance with the Employment Standards Act, WE does not engage unpaid interns. WE does offer some paid co-operative education placement opportunities, as well short-term placements for post-secondary students, for course credit. What are WE’s employee safety and wellness policies? 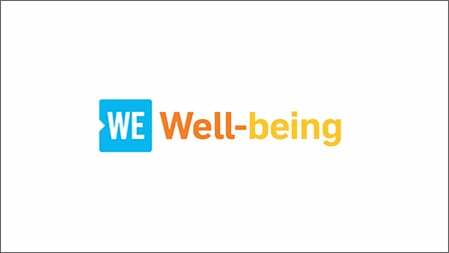 Learn about WE’s employee safety and wellness policies in this digital booklet. Click here to read. Does WE employ local community members in its international programs? Our international development model is founded on the principles of empowerment, sustainability and partnership. That’s why WE engages local community members around the world as members of our team—whether that’s hosting and facilitating ME to WE Trips, administering our country offices, or serving as supervisors and engineers on our building projects. The contribution of our in-country staff is invaluable to our mission, so we work diligently to ensure they are respected and enjoy the same quality work experience as all our other team members around the world. WE adheres to all local labour laws in the countries where we work, in addition to upholding our own high standards for a positive workplace environment. WE has invested heavily in creating an accessible system for reporting workplace issues, and our overseas staff have equal access to that. They are able to report issues to their local managers and country offices, or directly by email to the Chief People Officer in our North American headquarters.